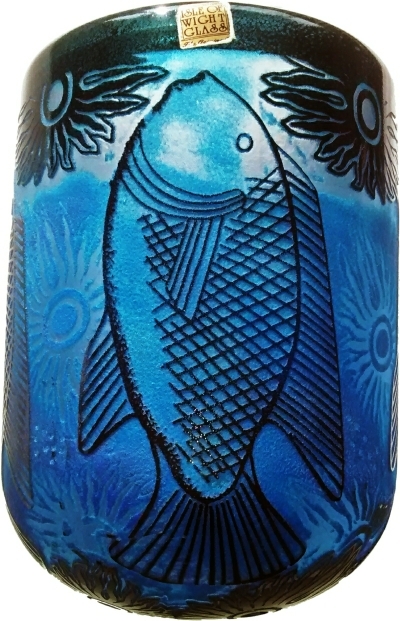 To paraphrase from Mark Hill's book , a cameo glass body is made up of two or more coloured layers of glass, where the top layer is then cut, engraved or acid-etched to create a low relief pattern and thus revealing the layers beneath. 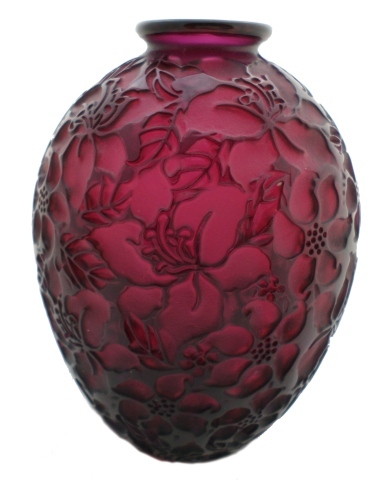 All the examples of Cameo produced by Timothy Harris are one-off unique pieces in a great diversity of designs. This cameo may have been made in the late 1990s. Hydrangea silver cameo vase, 12 cm wide x 20 cm tall. Hand carved cameo though sterling silver and colour enamel layers. Hyacinth core colour background. Made and signed by Timothy Harris in 2008. Designed by Elizabeth Harris. Picture courtesy of Jonathan and Alison Harris of Jonathan Harris Studio Glass. 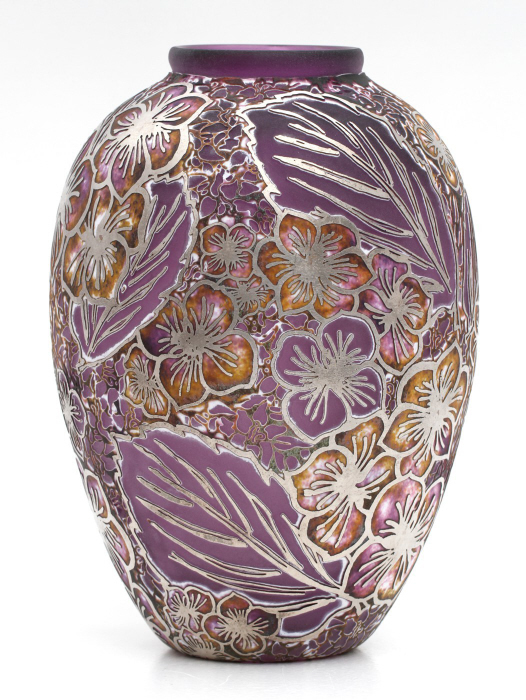 Purple Florals cameo vase, 11 cm tall x 8 cm wide, made in August 2015 by Timothy Harris.